The Atrium 6000 window comes in either a horizontal slider or as a single hung. The 600 series comes standard with 2 1/8" frame depth, 3/4" insulated glass, smooth wheel and axle assembly, and with a fiberglass half screen. As with all Atrium vinyl windows, the 6000 model comes with a limited lifetime warranty (see below for additional details). The Atrium 6000 is one of their lower end vinyl windows and not one that I would recommend for most consumers. The window is probably fine for smaller fixed windows or to be used in rental properties. I would recommend upgrading to one of the better Atrium windows for a better long term value. Consumers can expect the Atrium 6000 window prices to run $35 to $45 per square foot for the window itself. The newer 8000 series gets much better air infiltration numbers. The Atrium 6000 single hung window will vary U-factor in the low-e glass options from .33 to .29. SHGC will vary from .40 to .29, VT will vary from .50 to .57. Consumers can expect the 6000 series to offer a DP30 and get a 0.19 air infiltration, not the best AI number to be sure. 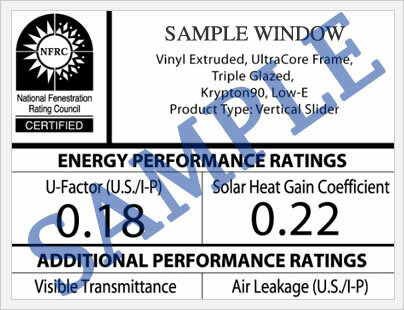 These numbers come from the National Fenestration Ratings Council, which lists the performance ratings of thousands of windows. The Atrium 6000 comes with a lifetime warranty on their vinyl windows and doors that includes the unit components, frames and sills. The insulated glass units or IGUs are warranted for 30 years, although after the first 15 years, the company pays out a percentage of the total replacement cost based on a formula they have devised. 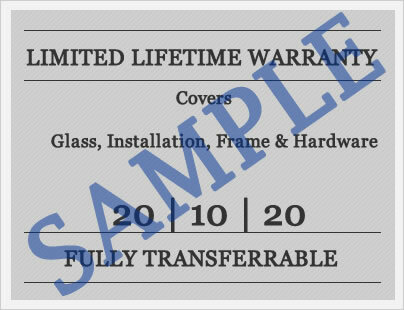 This vinyl window warranty is transferrable to one additional owner and lasts for 10 years from the transfer date or for the original warranty period. Do you have a question about the Atrium 6000 Window? Our industry professionals can help you get more information on pricing, upgrades, installation requirements, finding contractors and bids, as well as help you sort through the quotes and companies you are considering for your next window replacement project. Want to add your Atrium 6000 windows reviews? Post it here and help other consumers get the information they need to make the right choice for their home.